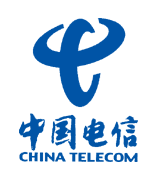 China Telecom Corp, the country's biggest fixed-line telephone operator's profits for 2006 fell 2.7%. Mobile phones are where the increases are happening although, in fairness, total revenue rose on strong demand for Internet connections and other services. Net earning was RMB27.1 billion. Revenue from Internet connections rose 32%. Local phone revenue dropped 3.5%. Total revenue jumped 3.4% to RMB175 billion. 13 million new connections last year lifted its total fixed-line subscribers to 223 million. Broadband customers (where the money is) increased by 7.3 million to 28.32 million. Non-voice services increased to 29% of total revenue, up 5 percentage points from 2005. To make up for the slow growth, as mobile phones tend to be the preferred option, China Telecom is expanding broadband, Internet-based TV and other new services. Compare now China Mobile Corp, China's top mobile carrier. Last week it announced its 2006 profit rose 23% simply because of an increase in subscribers. China has the world's biggest telecom market, with 461 million mobile and 368 million fixed-line phones as of January. But the number of mobile phones is expected to grow by 60 million this year, while fixed-line phones will rise by 10 million. The place to be is in mobile phone services, not manufacturing mobile phones where the competition is ferocious, and certainly not in fixed line phones.